Take the Money Saver Spain Quiz for 2018. A mix of useful info and trivia to see how well you know your money matters. Answers are at the foot of the page. 1 Who was the richest Spaniard in 2017? 2 You cancelled a regular monthly subscription and when you check your Spanish bank account the direct debit has been taken out once again. How long do you have by law to return the direct debit? 3 Inditex brands include Zara, Oysho and Massimo Dutti, but what’s the name of their low cost brand with branches across Spain? 4 The Bank of Spain estimated that approximately how much money in pesetas had still not been exchanged to euros by the end of 2016? 5 You’ve decided to change your car insurance to another company. By law how long beforehand do you have to cancel your current contract? 6 What’s the name of the European Union’s free service you can use to try and solve any problem you have with the Spanish public administration? 7 Which of the following services is not provided by Correos (Spanish post office)? 8 When you buy goods or services online you have a 14-day cooling off period. However, which one of the following items can you not return or cancel just because you’ve changed your mind? 9 Black Friday is celebrated across Spain with stores advertising big discounts, when is it held? 10 Which of the following is a valid (and legal!) way to save on train travel in Spain? 1c Amancio Ortega is the owner of Inditex (Zara and many more brands). Juan Roig is the second richest person in Spain currently. 2d You have up to 8 weeks to inform your bank to return a direct debit. 4b You still have up to 31 December 2020 to exchange any pesetas you find hidden under the floorboards. 5b One month. However your insurance company must inform you of any changes at least two months in advance. 6c Take a look at our article on Solvit, an easy to use phone and online free service. 7d Netflix subscriptions aren’t available (yet!). The other services are available either online or at your local post office. 9b Black Friday is always held on the day after Thanksgiving. 10c The other 3 ways to “save” are used, but they’re not legal! 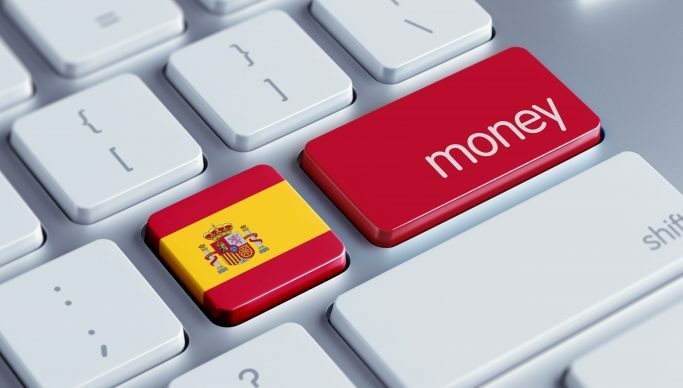 Under 5: Time to brush-up on your money knowledge in Spain!